Book description, taken from Amazon.com:The Duck and The Doe is the tale of two immortal beings whose eternal love has soured a bit in the last two centuries. Written as a memoir by the “hero”, this novella is a musing on both what love is and how much America has changed since the early 19th century. The first volume deals with both the supernatural and the racism of the old American south. Told with humor and passion (and the occasional rant) the story of these strong characters, including a wealthy young lawyer and a clever courtesan, will change your idea of what “love forever” really means. Note: The Indie Chicks received a free copy of this eBook from the author to enable this review. 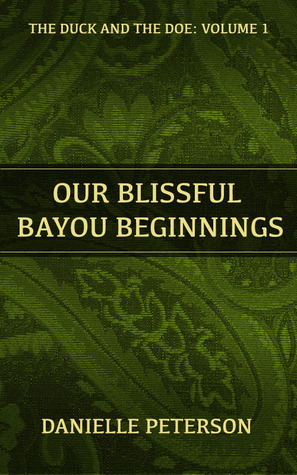 My Review: At only ninety-three pages My Blissful Bayou Beginnings is a quick read but is quite entertaining. The protagonist, Monsieur Toupinier, is a well-to-do young lawyer, torn between the world that exists in his time and the world he would like it to be. He is educated and articulate and quickly realizes that falling in love with and wanting to marry Mademoiselle Violet, a beautiful twenty-two year old prostitute, will be frowned upon by society, not only because of her profession but because her mother was mulatto. However, he resists demands that he follows the path expected of him, not knowing that his decision will lead to tragic consequences. In the story, the author mixes paranormal (which isn’t normally a genre I read), with mystery and romance to create this tale of two lives, told by Monsier Toupinier—and infuses the story with dollops of asides to the reader to explain what has changed in the two hundred plus years since he’d been born, why he is telling the story, and how feelings, even strong romantic feelings, can change over a long period of time. I would like to have seen better editing done in this story, as it contained many grammatical errors and missing words or word endings. For example, ‘plead’ on page 69 should be ‘pleaded’, and the use of ‘it’s when the writer meant ‘its’ is prevalent throughout the story. These may seem like small errors but they are enough to make some readers question whether or not they should bother finishing the book. I enjoyed the tongue-in-cheek and subtle humor the author used throughout this novella. For example, on page 9: “…there will be lots of these little side ramblings, so get used to it or GTFO” and on page 85: “Yes, well you did sort of eviscerate her father now, didn’t you?” In my opinion the author has a good grasp of how to use humor in a subtle, often surprising way. This was a lovely story with a good ending that should lead nicely into the next book in the series, and I look forward to reading it when it comes out. My Rating: Four glasses of wine!